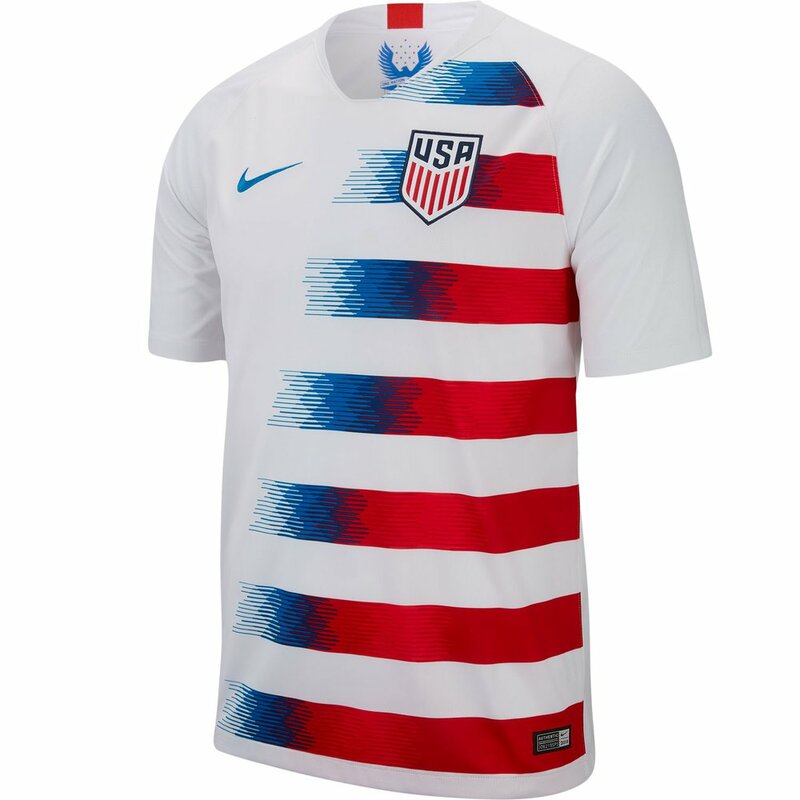 The Nike United States 2018 Home Stadium Jersey is a traditional home white, with horizontal fadded blue and red stripes across the chest. 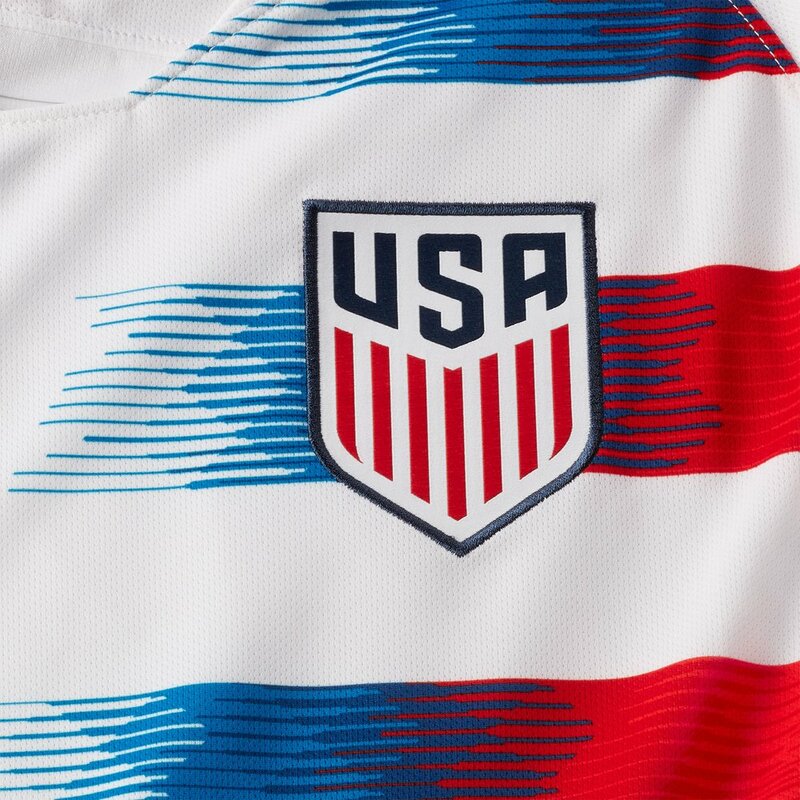 Team USA crest on the left chest incorporates all the colors of the American flag. After failing to qualify for Russia in 2018, the USMNT hope to build towards the future and compete for the next World Cup in 2022. Pulisic, Dempsey, and Bradley will continue to star for team USA in friendly matches this summer. 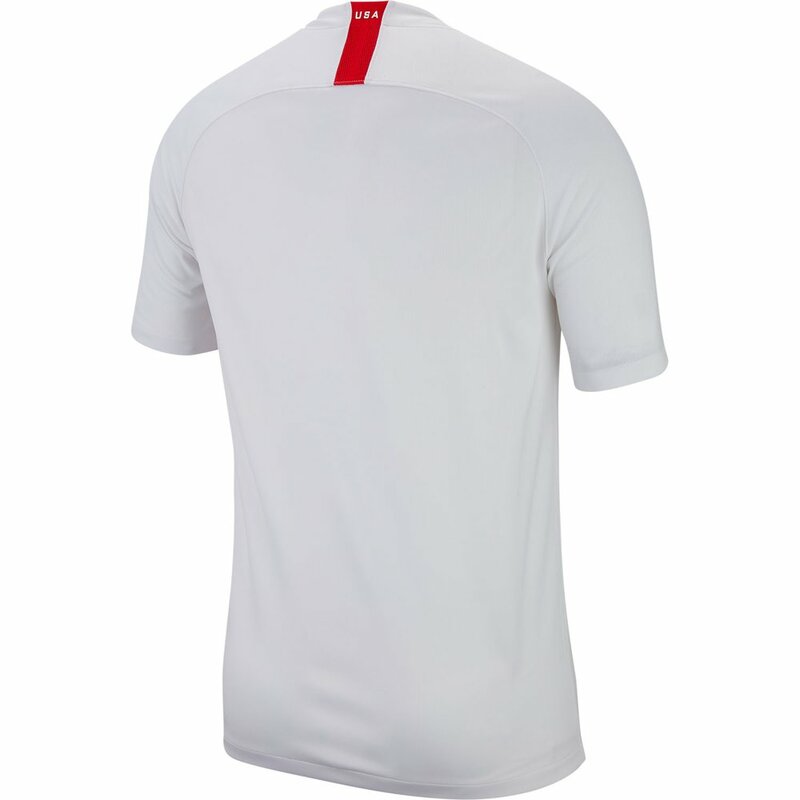 Nike Breathe fabric helps you stay cool in the heat of the match. Nike United States 2018 Home Stadium Jersey - Available at WeGotSoccer!